Emma has grown up SO much just in the past couple of weeks. It’s as if she thinks she needs to be completely independent because she’s 2 now! Gigi and Pops gave Emma this pretty coat rack with her name on it for Christmas. We hung it low enough that she can reach it and she loves to hang up her coat and backpack each time we get home. What a helper she is! This is just a plain ‘ol silly picture. She loves playing in her new room and demands that Robin and I sit on the floor and play with her every day. Here she is rocking on the horse that Craig and Fallon gave her last year- she loves it! I told her to smile for a picture and this is what I got! 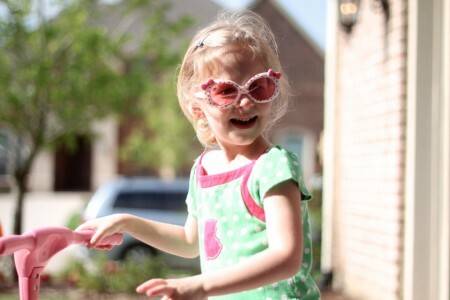 I love you sweet Emma- you better stop growing up so fast!